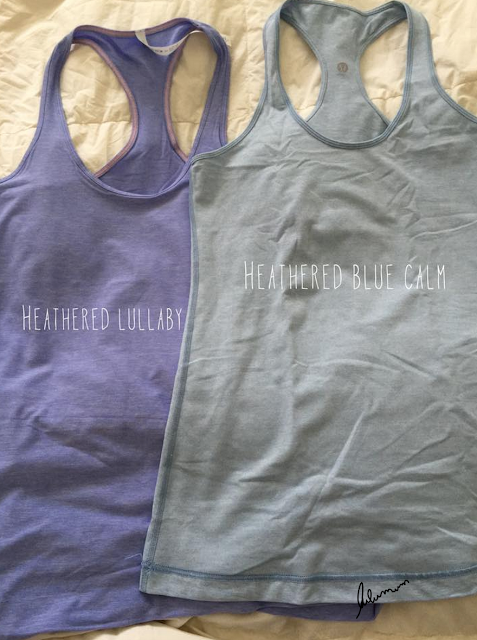 Here is a good color comparison of the Heathered Lullaby Cool Racerback to Heathered Blue Calm. They are quite similar but Lullaby is more saturated and definitely more purple than blue. They are the same thickness and softness which is nice. I find them both pretty opaque, thick and soft. I ordered the Jewelled Magenta Power Y on a whim but it’s going back. 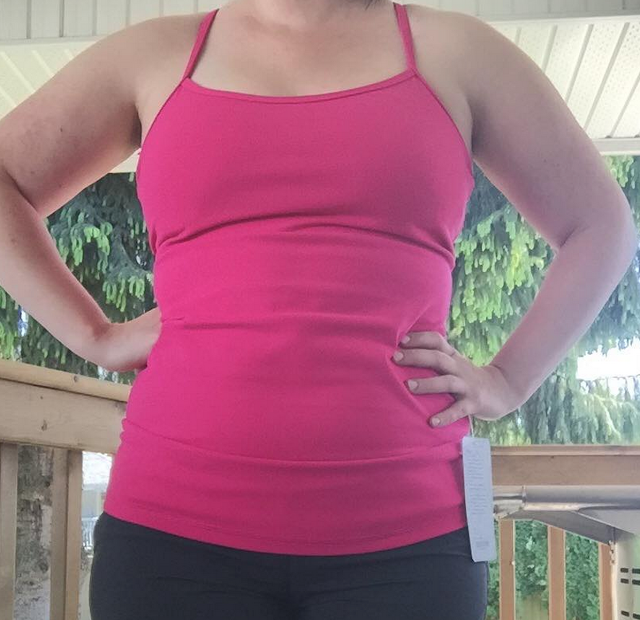 I love how it looks but I can’t work out in this tank without layering another bra under it and that just kills the look. Maybe in another must have color I’d get one just for casual wear. I love the Heathered Lullaby Cool Racerback and am definitely keeping it. The Om Pant I’m not 100% sure on. I do like it but my issue with it is that the bottom of the wide luxtreme waistband, the seam that connects the waist to the pant, cuts in slightly leaving and indentation. The In Flux Crops which have a similar waist don’t do this but I guess since the actual pant here is lower rise, that seam hits me in a funny spot. They are quite comfortable though and cool. I can see why a lot of people size up in these for a more flowy look. TTS is fine but they are more fitted in my thigh area than they should be and the low rise makes me want to try a size up. "Lullaby Exquisite Tank, Diamond Jacquard Roll Down Wunder Under Crops, Run For Gold Tank, Om Pant, Heathered Grapefruit Ebb To Street Tank"
I have a pair of om pants and the one that preceded the om but had ties at the bottom. They're both so amazing especially if you live in a climate that gets warm. I'm in SoCal so it's always hot. 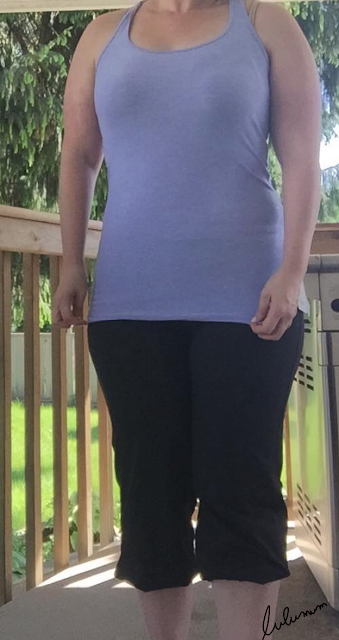 If I can't find my om's I am definitely buying another pair once they hit the U.S. We have similar body types and I love them so maybe size up.